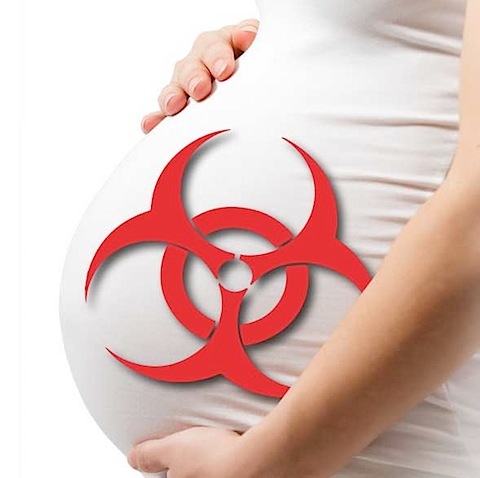 Even a recent, bold pronouncement by the Royal College of Obstetrics and Gynecology , attempted to sound the alarm about chemical exposures with recommendations for "unproven" but potentially harmful exposures. They describe the importance of considering chemicals in personal care products, over the counter medications and supplements, metals and industrial pollutants in fish, and pesticides. However, they dilute their message by making statements such as "Realistically, pesticides are so rigorously regulated that human exposure via food residues is usually minimal, even in non–organic products." 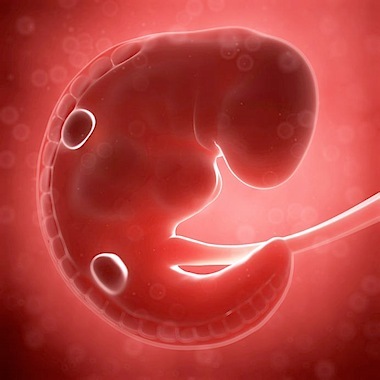 The study of epigenetics, or the environmental influence on genetic expression, has given us a keyhole look into this vast room of fetal development. We have learned that availability of nutrients , presence of stress hormones , and even beneficial bacteria all contribute to optimal expression of fetal genes. This expression is relevant not just for the proper growth of fingers and toes, but for the long-term health of the offspring. This concept is called the fetal origins of adult disease , and has helped to elucidate the early underpinnings of chronic diseases like cancer and obesity. To date, toxicologists are ill-equipped to assess for these long-term epigenetic effects, but animal studies are revealing transgenerational inheritance of pesticide-induced defects. Earth Open Source, A group of independent scientists (think not paid to scientifically support corporations) published a compendium of literature that they called "Roundup and Birth Defects: Is the public being kept in the dark ?" stating, "The pesticide industry and EU regulators knew as long ago as the 1980s-1990s that Roundup, the world's best selling herbicide, causes birth defects – but they failed to inform the public." The EU Commission had previously ignored or dismissed many other findings from the independent scientific literature showing that Roundup and glyphosate cause endocrine disruption , damage to DNA , reproductive and developmental toxicity, neurotoxicity , and cancer, as well as birth defects. Many of these effects are found at very low doses, comparable to levels of pesticide residues found in food and the environment, challenging the notion that there is such thing as a "safe threshold" of exposure. Effects likely to be missed include endocrine disruption, effects on development, amplifying effects of added ingredients (adjuvants), effects of combinations of chemicals, and effects on bees. Also likely to be missed are effects found in independent peer reviewed scientific literature , as the old directive does not explicitly say that such studies must be included in industry's dossier. Monsanto has told us not to worry, before. The deleterious effects of DDT, Agent Orange, and PCBs were only acknowledged after decades of accumulated evidence of irreversible danger to human lives. This preliminary data calls for a cease and desist of all glyphosate spraying until and if appropriate safety testing can be undertaken that accounts for the signal of presence and and persistence in fetal circulation, breast milk, and the environment at large, in the context of evidence of harm. Until organic and biodynamic farming takes more pervasive hold, avoid these unstudied chemicals by focusing on organic produce , pastured animal foods , and non-GMO labeled products . We must stand up in protest against this nonconsensual experiment affecting all forms of life on the planet. This page contains a single entry by sal published on May 19, 2014 5:37 PM. If You Fly, This Plant Extract Could Save Your Life was the previous entry in this blog. CHEMTRAILS: There is NO Debate! is the next entry in this blog.